“I am praying for Dr. Spencer’s recovery and am happy to be able to donate blood,” Writebol said. How many Ebola patients have been treated outside of West Africa? At least 18 cases have been treated in Europe and the United States. Many involved health and aid workers who contracted Ebola in West Africa and were transported back to their home country for treatment. A doctor in New York City, who had recently been working with Doctors Without Borders in Guinea, tested positive for the Ebola virus on Oct. 23. Cases shown below are compiled from reports by the C.D.C., the World Health Organization, Doctors Without Borders and other official agencies. How many health care workers have contracted Ebola? More than 400 health care workers in West Africa have been infected with Ebola during the current outbreak, and 233 had died as of Oct. 8. The W.H.O. said that the high rates of infection among medical workers could be attributed to shortages or improper use of protective equipment; not enough medical personnel; and long working hours in isolation wards. What is the United States doing to make sure that Ebola does not spread? New screening protocols have begun at five U.S. airports: Kennedy International, Washington Dulles International, O’Hare International, Hartsfield-Jackson International and Newark Liberty International. Travelers from West Africa have their temperatures taken and are questioned about their possible exposure to Ebola.The C.D.C. has also announced that a site manager would be sent immediately to any U.S. hospital treating Ebola patients to oversee all aspects of infection control, including making sure that health officials properly remove protection gear. How many people have been infected in Africa? More than 8,900 people in Guinea, Liberia, Nigeria, Senegal and Sierra Leone have contracted Ebola since March, according to the World Health Organization, making this the biggest outbreak on record.More than 4,400 people have died. 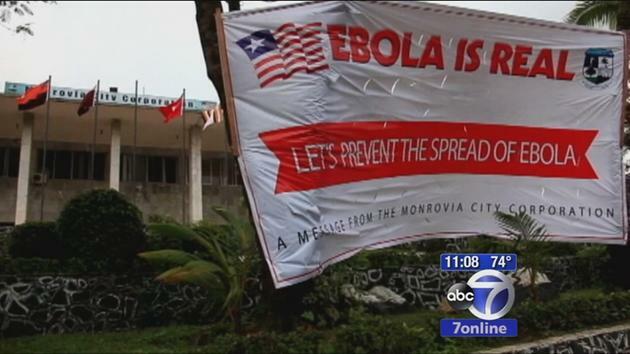 The disease continues to spread in Guinea, Liberia and Sierra Leone. The C.D.C. said on Sept. 30 that Nigeria appeared to have contained its outbreak.